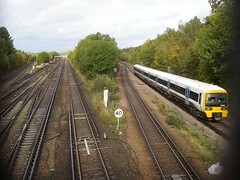 Rail line running south-east out of London to eventually end up at Dover. Last edited 2013-10-28 14:53:35 (version 4; diff). List all versions. Page last edited 2013-10-28 14:53:35 (version 4).